To say that C.S. Lewis is one of my favorite authors, while true, doesn't begin to cover the enormity of my debt to him. When I was a child he was the writer. I read the seven Chronicles of Narnia books in a gasp, one a day. My parents didn't see me for a week! Mom would knock on my door and try to lure me out of my room every once in awhile—her efforts were NOT rewarded. But that's okay. She was a reader too and C.S. Lewis was on her 'approved writers' list. And she knew there were only seven books! Today I was going to continue my series on how to create a Choose Your Own Adventure story (see here and here), but I'm not going to do that. Something happened on the weekend that I'm still reacting to and, as a result, I have the attention span of a gnat and the emotional stability of ... hmmm, well, say, of someone watching "The Fault is in Our Stars" for the 10th consecutive time! Instead, I'm going to write about C.S. Lewis' advice to writers. For me, this is a bit like hugging a favorite blanket. I loved Lewis' work as a child; his novels are exemplars of what I consider interesting, absorbing, well-written stories. C.S. 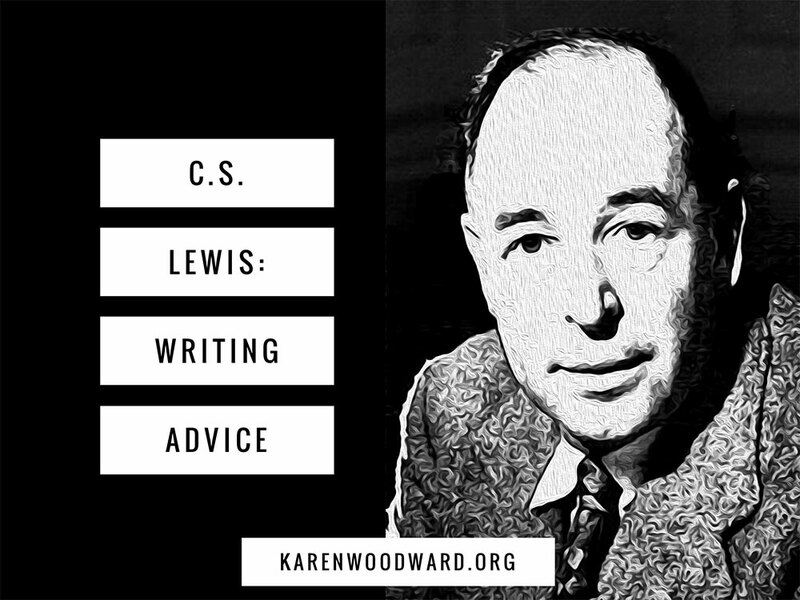 Lewis gave many different kinds of writing advice over the years. What I share, below, is his advice as it relates to language use. This advice comes from a wonderful blog post over at Aerogrammestudio.com, Writing Advice from C.S. Lewis. "Always try to use the language so as to make quite clear what you mean and make sure your sentence couldn’t mean anything else." 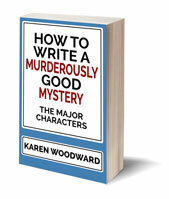 A similar piece of writing advice, one that Stephen King often gives, is to kill your darlings. In other words, remove those bits of text that don't do anything to further the story but which the writer is inordinately attached to. This is advice to ruthlessly de-clutter our writing in an effort to make our story as streamlined, as clear (and therefore as compelling) as we possibly can. King follows the rule of thumb to reduce his manuscript word count by 10% before he submits it. Excellent advice, and not just for fiction writing. "Always prefer the plain direct word to the long, vague one. Don’t implement promises, but keep them." In other words: use language like an athlete training for a big race. Make your sentence a sprint, make your scene a five minute mile. What does the athlete want? Often the goal is either to win the race or beat their own best time. A writer's goal is similar. We want our books, our stories, to reach the number one spot on the bestseller lists or, failing that, we want our work-in-process to be the very best we've ever written. The way to do this is, I would argue, similar in both cases: be intentional. As you write, hone your skill. Try out new things. Do you feel most comfortable writing in the third person? Try it from the first person! Do you write best using the past tense? Then try writing from the present tense. Do you normally write from one point of view? Next time, try alternating points of view. And so on. Words and paragraphs are tools a writer uses to create and communicate meaning. Be ruthless. 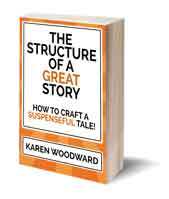 Pair down your words, hone the meaning and in so doing you will expose the story. 3. Favor concrete nouns over abstract ones. "Never use abstract nouns when concrete ones will do. If you mean 'More people died' don’t say 'Mortality rose.'" 4. Don't let fear drive you to use adverbs. "Don’t use adjectives which merely tell us how you want us to feel about the thing you are describing. I mean, instead of telling us a thing was 'terrible,' describe it so that we’ll be terrified. Don’t say it was 'delightful'; make us say 'delightful' when we’ve read the description. You see, all those words (horrifying, wonderful, hideous, exquisite) are only like saying to your readers 'Please will you do my job for me.'" "Adverbs, you will remember from your own version of Business English, are words that modify verbs, adjectives, or other adverbs. They’re the ones that usually end in -ly. Adverbs, like the passive voice, seem to have been created with the timid writer in mind. With the passive voice, the writer usually expresses fear of not being taken seriously; it is the voice of little boys wearing shoepolish mustaches and little girls clumping around in Mommy’s high heels. With adverbs, the writer usually tells us he or she is afraid he/she isn’t expressing himself/herself clearly, that he or she is not getting the point or the picture across. "Consider the sentence He closed the door firmly. It’s by no means a terrible sentence (at least it’s got an active verb going for it), but ask yourself if firmly really has to be there. You can argue that it expresses a degree of difference between He closed the door and He slammed the door, and you’ll get no argument from me … but what about context? What about all the enlightening (not to say emotionally moving) prose which came before He closed the door firmly? Shouldn’t this tell us how he closed the door? And if the foregoing prose does tell us, isn’t firmly an extra word? Isn’t it redundant?" Lewis is talking about adjectives while King is talking about adverbs (at least those that end in -ly), but I think the point each writer is trying to make is, essentially (ack! ), the same. When we write things like, "She jumped up and down. It was delightful," it IS like we're giving our readers stage direction. We're telling them what they should see in their mind's eye, we are telling them what they should feel. We say: This event is delightful, that is how you, Dear Reader, will think of it. But, of course, that's telling not showing. As Lewis says, we're sloughing off the job of picturing this to the reader. Why? We do this because of fear. We do this because we're scared that, otherwise, our writing won't be able to communicate the meaning we want to express, the thought we want to express. Fearful and perhaps a bit embarrassed, we reach for an adjective or adverb that will tell the reader how they should feel, rather than using language, using our writing, to drag them into the world of the story and the mind of the narrator. 5. Use the right word for the right job. "Don’t use words too big for the subject. Don’t say 'infinitely' when you mean 'very'; otherwise you’ll have no word left when you want to talk about something really infinite." This is KISS: Keep it simple, silly. Again, go for precision. Choose simple words that cleanly and clearly express your meaning. If you would like to read about C.S. Lewis' daily routine, here's a blog post about just that over on BrainPickings.com: C.S. Lewis's Ideal Daily Routine. Just as athletes must train, so writers need to hone their craft. I like to use short writing exercises to try out new things (for example, to write in a different tense or from a different perspective). Here is a list of writing prompts if you'd like to try it out. By the way, if you love listening to audiobooks (I do!) as well as radio plays (I do!) here is the best of both: the Chronicles of Narnia turned into a radio play! The best part is that you get it for free if you subscribe to Audible. (Yes, that's an affiliate link, but this is a product I would love to buy and so don't hesitate to recommend. Also, clicking this link won't increase the price you pay for the product, but Amazon will put a small amount of money in my account, and every little bit helps to sustain this blog. If you'd like to contribute in another way, I also have a Patreon page.) Thanks! To me, the use of adverbs are more a sign of lazy writing than fearful writing. OTOH, a friend who’s also a psychiatrist has theorized that laziness is a symptom of underlying fear. Go figure. At any rate, when I’m editing and see adverbs, they serve as a signal that here’s an opportunity to expand the image. Which means ya gotta siddown, think of what you’re trying to convey, and then convey that. “Turn on the lights,” he said darkly. More words, hence the first example was lazy. Don’t care for Lewis’ genre; my sister loved it and read every book one summer too! "they serve as a signal that here’s an opportunity to expand the image"
I LOVE that! Completely agree. "Don’t care for Lewis’ genre"
Sure, no writer is everybody's cup of tea. Same with Tolkien. Also, in those days, I think long passages of description were much more common.